Remember all the controversy over electronic voting machines? Well, prepare to be paranoid once again. 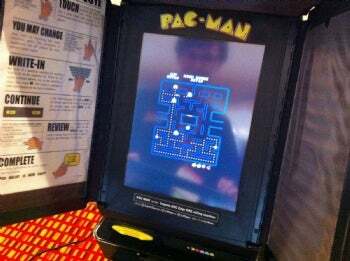 Researchers from the University of Michigan and Princeton University managed to hack a touchscreen direct-recording electronic (DRE) voting machine called the Sequoia AVC Edge to run Pac-Man, reminding me why I didn't trust electronic voting machines in the first place. This isn't the first time voting machine security has been called in to question, and it probably won't be the last. Some states, such as Virginia, have already banned DREs; hopefully other states will begin to follow suit. If not, I'm putting Pac-Man on my ballot in 2012!